Very happy! 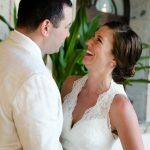 Bradley is a great natural light shooter… he took 4 hours worth of great pictures at our Cabo San Lucas wedding. Highly recommended. Thank you so much. I had a romantic idea of what I wanted, which you were completely able to make come true. We love the extra little blinking Grinch. Faith thought that was real. “Look he blinked!” Our parents and Orion’s other sister and Lyra’s husband loved the pictures and we made our Christmas card from them too. Thanks again for a wonderful experience and beautiful memories in Cabo. We will recommend you to others. We really enjoyed working with you and thank you for your professionalism, poise and overall great spirit. We couldn’t have asked for a better Cabo photographer to capture our special day. You are amazing Bradley! Thankyou for making our special day so memorable! Though our friends and family couldnt be there, after viewing the pictures, they felt they were with us! It was hot that day, but you took beautiful pictures in a short amount of time! You were very personable, and a pleasure to talk to! We were very lucky to have you share in our special Cabo wedding day! Thank you again! You found a way to capture our most special day in a magical way. Your photos are simply a family’s treasure and we clearly have only you to thank. You were humble enough to ask for constructive criticism, but in the cases of both our photo collection and slideshow DVD, I have only praise. Your demeanor, your ability to blend into the event and to capture the true feelings of the day are just beyond measure. Bradley was very calm. That was the first thing that I noticed. Which was great when your a bride. He worked his magic though out the wedding. If he needed any other pictures he just asked us instead of told us. This was nice. Bradley has an over all good vibe. He was enjoyable to work with. So perfect, like being in a dream and one of the happiest days of my life. We’re so happy we have such incredible photographs of the day! A couple people have said they look right out of Bride magazine – go Bradley! These are great. Thank you for capturing our special day for us. We are missing Cabo and hope to be back sooner rather than later. Thanks! Just looked at the photographs. Wow, so beautiful. Very excited for The whole gallery, to say the least. Thank you again. Moreover, a big thank you for the books. We truly appreciate everything you have done! Overall it’s an excellent experience. Bradley is extremely professional and talented in capturing the natural faces. The quality of the pictures were also very great with good use of the lighting. He is also very prompt in replying my inquires and flexible in adjusting the right package for me. I was also surprised and excited to receive the photos much earlier than promised. Brad has exceeded my expectations! Thanks Bradley! The picture look great! I’m really happy with how they turned out. Thank you for providing some black and white shots as well. They look great! Thank you so much for getting this to us so quickly! We absolutely LOVE them – they look great!! We couldn’t be more pleased and excited with our beautiful pictures! 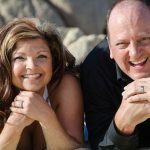 Our experience with Cabo Photography and Bradley Fraser was INCREDIBLE! My wife and I were married at the Riu Palace in Cabo San Lucas. Bradley arrived at the pre-wedding meeting on-time and provided valuable info/insight regarding his style and asked pertinent questions regarding our expectations. It actually rained on our wedding day and this is where true professionalism and going above and beyond kicks in. Because of the rain Bradley was unable to take all of our pics and provided us a couple of alternative options. Two days later he picked us up, took us to another beach and completed the photo shoot. He also bought and provided ear drops for my wife who was experiencing a severe ear ache. I was truly impressed with his professionalism. He provided our wedding photographs 2 weeks earlier than expected. They were breathtaking and captured all of the moments that we experienced that were like a dream. I would HIGHLY RECOMMEND Cabo Photography. We wanted to thank you so much for photographing our wedding. The photos are absolutely amazing. It was such a pleasure to have you come to Puerto Vallarta and photograph our big wedding. We really enjoyed working with you and were pleased with our pictures. Thank you. If you ever need a reference please do not hesitate to give them my email. Also, you know I love that I made it to be one of the cover photos on your website! Bradley, we just got back from Cabo last night and looked at the pictures. They are incredible! We were absolutely blown away by the beautiful setting, how wonderful everyone in our party looked, and your ability to just capture the emotion and fun of the moment. We love the creative shots that you took and the different angles at which you shot your pictures. 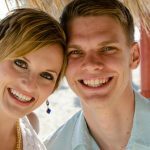 The Cabo wedding slideshows are wonderful as well, and we really enjoyed the variety with the different songs that you used! You did an amazing job, and were a great asset to have at our wedding as well. You blended into our ceremony seamlessly, and it really has been a complete pleasure working with you. You were so helpful and knowledgeable, and we love your work! We will be highly recommending you to anyone who heads down to Cabo for a wedding!!! Thank you so much. I was absolutely blown away with the final results of our family photos you sot in Cabo. You captured our beauty and spirit along with the natural beauty around us. I was in absolute awe! I would highly recommend your talents to anyone looking to set time still with pictures that will last a lifetime. Your quality and craftsmanship is superior to so many others that we have worked with in the past. I feel that I took advantage of you with your pricing. I received so much more than I had ever expected. Believe me, I have very high expectations. We loved the pictures, we felt that you were able to “catch the moment” with all the pictures. When looking over them, I was able to remember exactly how I felt when the picture was snapped. It really took me back to the cabo beach wedding itself. They were all such good pictures we are having a heck of a time deciding which ones not too make prints of! Working with you, from the first email contact to the delivery of the beautiful pictures was a breeze Bradley! You met all of our expectations and then some. You were fantastic to work with and without a doubt the Cabo pictures and moments captured were beyond our expectations. Thank you for making what could have been a stressful day so absolutely easy and so much fun. Bradley you were wonderful, everyone said how professional and personable you were. You were non-stop the whole time you were with us. I am so glad you were there to capture the Cabo wedding moments for us. I will pass along to others how great you captured the moment. When people look at the pictures they feel and see what we were feeling. Thank you again!!! They came in the today! The Cabo photographs look GREAT! We couldn’t be happier with how the pictures look – you captured our wedding day perfectly. We really appreciate the memories you’ve given us. Thank you so much! Oh my word Bradley. With these pictures you have managed to completely exceed any and all dreams I had for capturing this important moment in our lives in Cabo. I am crying right now because I am so happy. Words cannot express how I am feeling right now. Erik and I still think that finding you was a godsent! Not only did you capture a moment in time for us to share over the years of our lives together, you have given our memories color and life. You weren’t just our photographer that day, you were our friend. I want to thank you SO much for the incredible job you did for our Cabo wedding… Everyone remarked how great you were, how friendly you were. We are VERY pleased. ALL expectations were met …. and more. Thank you for your amazing photography. You truly captured the day. When people look at our pictures they say the same thing…..that we look so happy & relaxed….which we were! It truly was the best day of our lives. Who knew a wedding could be so fun!! You were great to work with. I was so comfortable with you. Thankyouthankyouthankyou! Thank you so much for the wonderful job you did on our wedding!!!! I couldn’t be happier with the pictures. The testimonials on your web site don’t even do your quality of photography justice, the Cabo photographs are just phenomenal. Bradley… We love our photos and meeting you! We will be back in March with our kids and would like to have you do our photos again. Thank you again for making us feel comfortable. Thank you thank you thank you!!! The pictures are gorgeous and amazing! You did such an amazing job and Adrienne and I can’t thank you enough for everything. And also, thank you so much for the video! What a great surprise :)…you captured everything we envisioned and more. We can’t thank you enough. Good luck with all your future endeavors and career. These are fantastic wedding photographs! Thank you so much. You are an amazing photographer and everyone at the wedding loved working with you. Congratulations, you can stop looking for your perfect photographer! You have found him! It doesn’t get any better than Bradley Fraser with Cabo Photography. We did extensive research before choosing our photographer for one of the most important days of our life! Bradley met with us a few days before the ceremony to go over all of the details of what we want and expected. We felt very confident after our meeting that we would have a great experience with him. On our wedding day Bradley showed up early to make sure everything was going as planned. He took beautiful photos of me in my dress before the wedding and was able to capture the one photo I wanted more than anything else (my husband seeing me for the first time as I walk down the aisle). Our ceremony was very intimate and our family photos that he took are absolutely perfect. There are no words to express my gratitude for getting these once in a lifetime photos of our families. We arrived back home to a celebration with all of our family and friends and Bradley was able to edit and get us photos for this party that we could share with everyone. And finally, Bradley has a warmth about him that made it seem like he was a part of our family. Everyone loved meeting him and said such great things about him. Once again, stop looking around for a photographer, you’ve found your guy! Wow! These look great. Thank you again for driving up and shooting our wedding. These are fantastic. We would totally recommend you. Have a great summer! 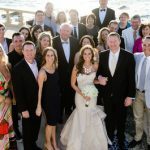 I would like to thank you for such a wonderful job on our Cabo San Lucas wedding pictures. I’m sure you hear this time after time, but, I truly feel we should be making monthly payments to you for the rest of our lives. Our guest loved you and we loved you. You can bet we will be calling you again the next time we are in Cabo. I wish you all the luck with your vacation, you definitely deserve it. And if you ever find yourself in Florida, please do not hesitate to give us a call. 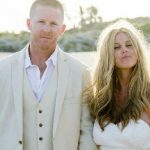 We couldn’t have found a better quality Cabo photographer to do our wedding photos. Not only were you awesome taken our photos but you were a sweatheart and aimed to please (that you did). We love the photos Bradley! It was great meeting you. Definitely a returning client if ever we are in Mexico again! We just might fly your expertise to Dallas Texas!! THANK YOU!!! Got the pics and all I have to say is WOW!!! Just played the slide show DVD and it is awesome! You did a great job . Thanks for the link for the pictures online. My friends and family love it! Both Paul and I think you did such a wonderful job and thank you from the bottom of our hearts. It was so great to work with you in Los Cabos and it felt like you weren’t even there most of the time. It was just like you said it would be. Thanks again for everything and for making our wedding so amazing!!! Well, we have finally returned to the reality of home after 16 wonderful days in Cabo. We are so completely thrilled with the photos and slide show you delivered to us last week…exactly what we wanted. You captured the emotion of the day in hearts and spades. We both cried when we watched the slide show. Thank you for making our beautiful Cabo wedding day a day to remember for the rest of our lives. It’s difficult planning from abroad, but your professional demeanor and persistent follow up, really solidified a trusting relationship. These Cabo wedding photos are breathtaking and we loved your unique and creative approach that was completely catered to our personality. We felt free and natural. 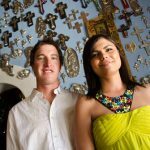 I will recommend you – as your amazing photos have inspired the interest of another couple to get married in Cabo. What’s not to like? A beautiful city, romance, and an an outstanding photographer who frames those special moments. Nothing is lost. Thanks Bradley!!! Bradley, you are an amazing photographer! Being from Los Angeles, I researched so many photography companies both in LA and Cabo and after months of searching, your photography style was just what we were looking for. The slideshow and black and white photos are amazing. Chuck and I have probably watched it about 20 times and we have not even had the disk a week! I highly recommend it to any couple that is getting married. You are the best and we will highly recommend you to anyone and everyone we know. Thanks again for all your help. We LOVE the photos. They’re absolutely beautiful and truly captured the beauty of the day and the magic of Cabo. Many guests commented how friendly and professional you were. Frankly, Matt & I didn’t even notice that you were there! We absolutely loved our photo shoot. My girlfriends and I thought that you were fantastic! We were very pleased that there were great photos of all 7 of us as well as individual shots. I will be using some of the photos to display at my reception so that everyone can see just how important my bridesmaids are to me. Thanks so much for everything Bradley!! I wanted to tell you how many compliments we received on the Cabo photographs and how absolutely beautiful WE thought they were. You were so sweet during the whole event and we wanted to let you know how lucky we felt to have you there! Thank you again Bradley for being there and capturing all the love and joy that we felt on the most important and beautiful day of our lives. On behalf of our entire family, I’d like to thank you for the wonderful Cabo beach photos you took. Even with 3 young children (including a stubborn 2-year old and sleeping baby), you managed to capture beautiful photos of our extended family. The colors were amazing and picture quality was perfect. Thanks again for your services. My family LOVED our photo session with you. They sometimes dread “family photo time”, but not this time. They walked away saying they would willingly have their pictures taken again if it was with you! I like the way you captured each persons personality in the photos and will cherish the photo/memories forever. Thanks so much for all that you did.